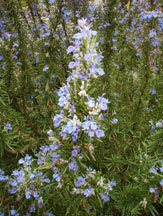 Rosemary is used in everything from mouthwash to hair tonic to skin lotions. 5. Save money! Pick wild herbs, make them into tonics, and save! 6. Cultural history! Your granny made many of her own cosmetics, it is a lost DIY art. Ask her about it! Check out our Herbs Page for information about different herbs and flowers, and for more beauty and medicinal recipes you can make at home. Our herbs page includes information about calendula, comfrey, nettles, lavender, rosemary, and more! Make Your Own Facials, Bath Salts, Lip Gloss, and Aloe Gel! I later found out that vinegar is a home remedy for sunburn. People soak paper bags in vinegar and apply them onto burned skin to soothe. There are many folk remedies for sunburn that work quite well. Cold yogurt is silky on tender skin and is nutritious too. Cold fizzy mineral water helps relieve the pain. A cool bath with a handful of baking soda in it can help stop the stinging. The insides of cool cucumber skins rubbed on the skin feels good too. For severe burns, make a paste of slippery elm bark or baking soda, mixed with water, and spread onto burned area. And there is also aloe vera. 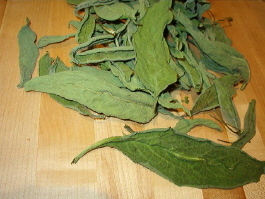 Slit the leaf open and use gel. Mesolithic cave people used grease and castor oil to soften their skin, and plant dyes for tattoos. Lipstick was worn 5000 years ago near Babylon. In "Biblical" times, olive oil was rubbed into feet. Assyrians and Egyptians rubbed sand onto their skin to buff it smooth. Galen, the Greek, recommended finely ground snails to moisturize skin! The first commercial toothpowders appeared in the Renaissance, made from dried sage, nettles and powdered clay. In Elizabethan times, the absence of eyebrows was popular. Eyebrows were shaved and replaced with fake ones made of mouse skin! Sounds alot like what you see daily in America currently! Plucked and drawn back on... In "The Art of Beauty," a book written in 1825, one of the most popular books of its time, women were advised to erase wrinkles by becoming overweight! Grind rinds in food processor, adding other ingredients and processing until fine powder. Store in an airtight container in bathroom. To use, pour a little into hand and rub moistened toothbrush into it, then brush. 1/4 c. beeswax, 1/4 c. castor oil, 2 T. sesame oil, beet juice Melt beeswax, remove from heat and add oils, add as much beet juice as desired for color. Store in jar.